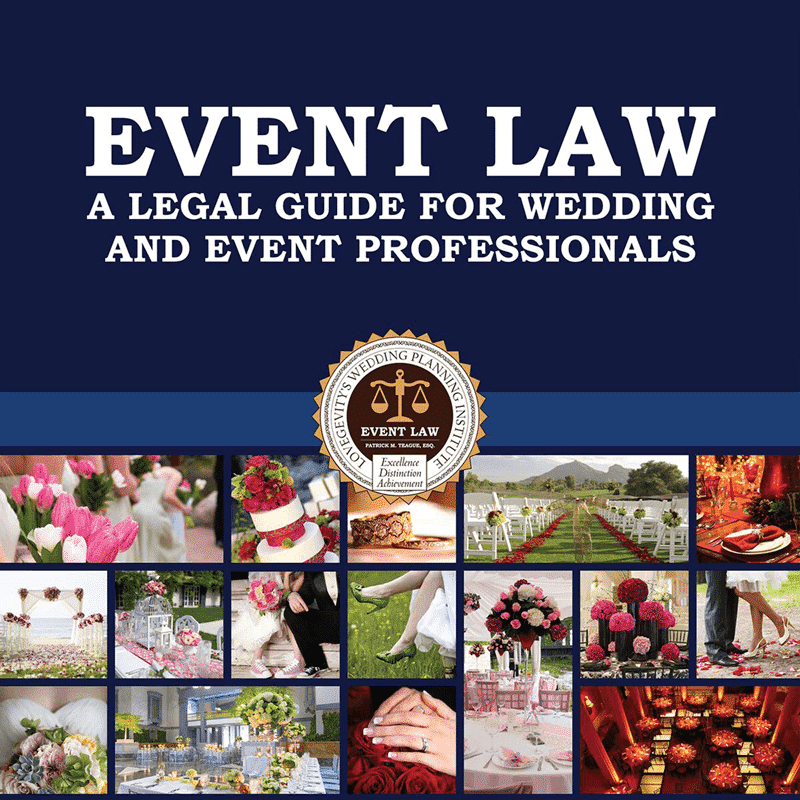 The Event Law Course is a legal guide for wedding & event professionals. A legal guide for wedding & event professionals, everything you need to know to maintain your career; including licensing, trademarks, contracts negotiations and more. 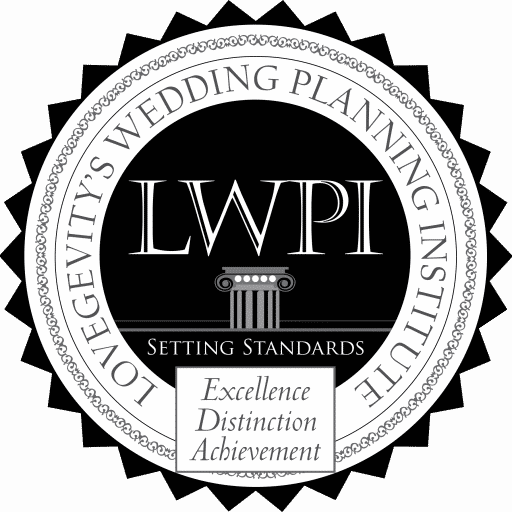 This course offers legal knowledge and tips for wedding & event professionals. This guide provides everything you need to know in maintaining your career and business. Attorney Patrick Teague has emerged as one of the leading voices in the country in the growing field of event law. Mr. Teague’s experience in event law includes representing a wide variety of wedding and event professionals, including planners, designers and photographers. He has also successfully represented Lovegevity, a multi-media publishing house, in contract negotiations with wedding and event suppliers, television personalities and, notably, world-renowned event designer Preston Bailey. Outside the event industry, Mr. Teague is in-house counsel for a multibillion dollar hospitality company that operates in over 35 countries. He also has expertise in small business and contract law, along with experience as a sports agent, sports reporter and professional soccer player. Mr. Teague went to law school in New Orleans and remains deeply interested and involved in the city. He holds a law degree from Tulane University. He lives near Washington D.C. with his wife, Melissa. Q: What does the Event Law course cover? A: The Event Law course will cover a variety of topics from business formation, choosing a brand name, industry specific licenses and intellectual properties, all the way to topics of labor and employment, contracts and specifics on event law in the wedding & event planning industry. Q: Can I learn how to write a proper contract from taking this course? A: Yes, you will learn how to write a proper contract and you will be given samples to follow and to help understand how contracts will work for you and your business. In addition to this, always contact and consult an experienced attorney in your local area to make sure all of your bases are covered for your business. Q: What laws will I learn more about? A: You will learn about the statute of limitations in your state and other states, and also the laws you need to be aware of as a self-employed person with employees or just as a one person business. Q: Will everything from this course apply to me and my region? A: Much of this course will apply to you and your learning of topics in Event Law, but you must always contact and consult an experienced attorney in your local area to make sure all of your bases are covered for your business. Q: Why are contracts needed? A: Contracts are always a sure way to help protect both parties from the unexpected. Contracts are also a great way to detail out what your services “do” and “don’t” include per package for your client to understand. A legal case is made much easier when you have a contract and paperwork to prove your case. There is always a method behind the madness with contracts and their specific details. On another note, always make sure a contract you have is signed and dated by yourself and the client. This is for your own protection. Q: What is a “Day “Of” contract for a Wedding & Event Planner? A: A “Day Of” contract is a sure way to protect you and your business should anything happen along the way during work with a client. Contracts are always a sure way to help protect both parties from the unexpected. Contracts are also a great way to detail out what your services do and don’t include per package for your client to understand. Tuition is paid in full. Tuition is paid off in 12 months.